Maj. Gen. Ulysses S. Grant and the Army of Tennessee achieved victory in the Battle of Jackson on May 14, 1863, at Jackson, Mississippi. It was part of the American Civil War‘s Vicksburg Campaign. 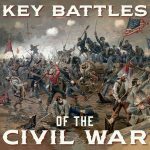 The battle at Raymond caused Grant to realize the seriousness of the Confederate threat to his right flank—and then to his rear—if he simply continued north to the railroad and then turned west toward Vicksburg. He had received reports that General Johnston had arrived in Jackson and that reinforcements from the east and south were headed for that town. Jackson was the obvious rail junction for Confederate troops and supplies headed for Vicksburg. Thus, Grant decided to attack the capital, eliminating the troops there as a threat to his Vicksburg campaign. On the evening of May 12, therefore, he issued orders for McPherson to move on Clinton (on the railroad ten miles west of Jackson) and then on to Jackson and for Sherman to move on Jackson from the southwest through Raymond. They carried out their orders on the 13th and threatened Jackson by nightfall. In accordance with orders from Seddon that Johnston had initially protested on grounds of illness, Johnston arrived at Jackson that evening. 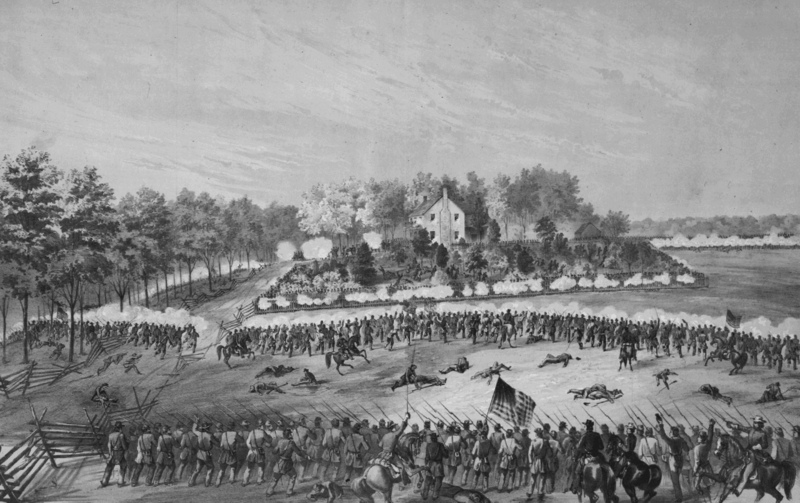 Advised by Gregg that Union troops were astride the railroad to Vicksburg, that only six thousand Confederate troops were in the vicinity of Jackson, and that Confederate reinforcements were on the way (which he already knew), Johnston hoped to assemble twelve thousand troops at the Battle of Jackson within a day and trap Grant between Pemberton’s force and his. To accomplish this, he sent three couriers with messages directing Pemberton to organize a converging attack and, if practicable, to attack the Federal troops at Clinton. “Time is all important,” he stressed. Johnston concluded a concurrent telegram to Seddon, “I am too late.” In light of Grant’s initiative and Pemberton’s hesitance to carry out Johnston’s order or abandon Vicksburg, Johnston was indeed too late. Partly because Grant’s spy network had advised him of Johnston’s arrival and plans for reinforcement, Grant did not hesitate to continue his expedited offensive. Because of Grant’s concentration of force at Jackson and despite torrential downpours, his troops were able to drive the Confederates from Jackson in less than a day of battle on May 14. McPherson fought his way in from the west and Sherman from the southwest, occupying the city by mid-afternoon. Jackson cost the Union forty-two killed, 251 wounded, and seven missing (a total of 299 casualties), while the Confederates suffered an estimated five hundred casualties and the loss of seventeen cannons. Confederate industrial losses in Jackson were substantial. Johnston himself burned all the city’s cotton and five million dollars in railroad rolling stock. Sherman followed up by burning an arsenal, foundries, machine shops, and cotton factories and warehouses. During the assault, Grant had used McClernand to protect his western exposure against an attack by Pemberton that never came. Pemberton spent the day probing southeast of Vicksburg for Grant’s almost non-existent line of communication with Grand Gulf, and Johnston retreated from Jackson to the north away from Pemberton’s movement. Even worse for the rebels, Johnston turned back reinforcements that were moving toward Jackson by rail. Learning from McPherson that one of Johnston’s three couriers carrying his May 12 “attack” message to Pemberton was a Union spy, Grant immediately turned his army westward to deal with Pemberton. He ordered McClernand to Bolton Station, about twenty miles west of Jackson and the point on the railroad nearest to Jackson where Johnston might merge his and Pemberton’s forces. He also ordered McPherson to move swiftly west along the railroad and ordered Sherman to destroy the railroads and enemy property in and around Jackson. These actions were all accomplished without delay on May 15, and Grant, at last, was prepared to march directly toward Vicksburg.